Minister of Haj Bandar Hajjar said that the ministry has completed all preparations to welcome the fasting month of Ramadan. He said arrangements are in full swing to cope with the huge influx of pilgrims from all over the world during the upcoming peak Umrah season in Ramadan. The minister also announced that amended draft of the new Umrah law would be unveiled in the near future, Al-Watan newspaper reported. Al-Hajjar disclosed that the ministry had been electronically monitoring all Umrah pilgrims to prevent anyone from overstaying. There are field inspectors in all areas with high concentration of Umrah pilgrims to ensure their well being as well as to resolve any issues they might encounter. He said that about 3.8 million foreign pilgrims had entered the Kingdom as of July 1. “This is an increase of 400,000 compared to the same period last year. 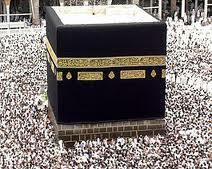 There are a total of 290,000 pilgrims in Makkah and Madinah at present,” he said. The minister noted that there has been considerable decrease in the number of Umrah overstayers over the past few years. The number has dropped to 24,000 in 2011 from 450,000 in 2005. He also unveiled the ministry’s plans to introduce 22 programs to improve services and facilities for Umrah pilgrims. Meanwhile, an economic expert estimated that Saudis spent nearly 60 percent of their income during the month of Shaaban to purchase consumer goods in preparation for the fasting month of Ramadan. Ziyad Al-Romani, economic consultant at Prince Naif Institute of Researches and Consultancy Services, said that nearly 90 percent of retail stores in the Kingdom are run by foreign workers under coverup business. “These foreigners are the largest beneficiaries of offers from hyper markets and superstores. Most Saudis do not take advantage of these offers for several reasons such as their summer foreign trips and their preoccupation with other engagements including wedding and other parties,” he said. Makkah’s municipality has readied an intensive plan to keep the city clean as well as to ensure the safety and comfort of the pilgrims and visitors. Khaled Al-Hayj, acting mayor of Makkah, said the plan focuses on intensifying cleaning work, monitoring the environment, and inspecting markets, grocery stores, restaurants and Ramadan stalls. Al-Hayj said more than 8,500 cleaning workers supplied with 676 pieces of equipment will be keeping the city clean and tidy. There will be a number of teams equipped with over 550 pesticide sprays to combat insects and flies, in addition to 181 trash compressors. He said the municipality has formed a number of field committees to carry out inspections of commercial markets and food outlets in order to ensure they are not violating health and hygiene rules.